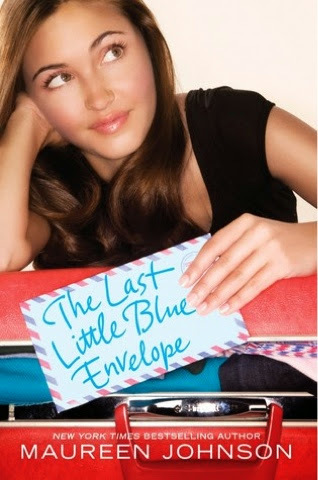 Review: I really wanted to read this book after having read thirteen little blue enveloped last year,no need to know what happened to the last blue envelope and I wanted some more Maureen Johnson, having really enjoyed the previous book. Firstly, I made the mistake of downloading this as an audiobook again. It is so hard to try and enjoy a novel when the narrator clearly can't do any accent that isn't general American, and this bok has English, Irish, Scottish and French accents, a lot of which came out sounding decidedly Asian or just plain comical. I was pretty disappointed with the way this book turned out to be honest. It recycles a lot of the material from the first novel, travelling around, looking for items to fulfill her aunts wishes, and we actually never get to hear the final letter in its entirity! The whole concept centres around someone holding the letter hostage and essentially blackmailing ginny to travel to different countries to him so that he can get some money out of her, very blizzare and not entirely a safe thing for a young girl from a different country to be doing! Thank goodness for Keith, that's all I can say. 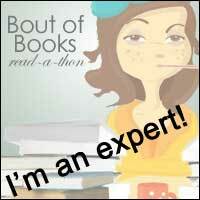 The loveable rogue that Ginny met in the original novel is back and just as funny as ever. The only problem is that he is no longer signal, of course this involves a whole heap of problems from Ginny and I really did enjoy this element of the storyline-YEY! The journey that they go on has comical elements too and the storyline is definitely fast paced, I was just pretty disappointed that the storyline wasn't as exciting and meaty as I the first novel. Any elements of audiobook faults aside, I didn't feel wowed by this book but I am glad that I read it to find out what happened next to Ginny and Keith and the fact that I didn't entirely enjoy this novel. Won't out me off reading other books by Maureen Johnson in the future-I already have the next one lined up and ready to go!